From the enormous Siberian tiger to the slight, tree-dwelling clouded leopard, the big-cat family represents some of the most majestic animals on Earth. It is the combination of their feline grace and their killer instinct that makes the big cats so irresistible. There are seven members in the big-cat family: lion, tiger, jaguar, leopard, snow leopard, mainland clouded leopard, and Sunda clouded leopard and all of them are under threat from habitat loss, poaching, and human-wildlife conflict. On this year’s World Wildlife Day, the UN Secretary-General António Guterres called on people around the world to “help raise awareness and to take personal action to help ensure the survival of the world’s big cats”. One way each of us can take personal action to help protect the big cats is to choose an ethical local tour operator when going on a wildlife-watching safari. After all, if the local communities benefit from wildlife protection, the conservation strategies will have a much higher chance of success. The jaguar is the largest big cat in the Americas. Its range extends from the Southwestern United States to Argentina and sadly, the jaguar is listed as Near Threatened on the IUCN Red List across its entire range. The jaguar is the most water-loving cat in the big cat family. It is known for hunting caimans on the river banks in the Pantanal. Its spotted coat provides the jaguar with perfect camouflage in the dappled light on the jungle floor. Black color variation is also common in jaguars and while the black cats are often referred to as the black panther, it is, in fact, the same species, just a different color morph. The best place for spotting a jaguar is the Brazilian Pantanal. The jaguar tours in the Pantanal are centered on the river cruises along the Cuiaba River near the town of Porto Jofre located at the end of the Transpantaneira highway. The jaguars are typically spotted on the river banks and with the water acting as a natural barrier so the big cats are not disturbed by the boats. If you are lucky, you may even witness a hunt. It is best to stay on the river for a few days in case of rainy weather. Jaguars are rarely seen in the rain. To support the local community, arrange your trip with an experienced and dedicated local guide from Pantanal Trackers. 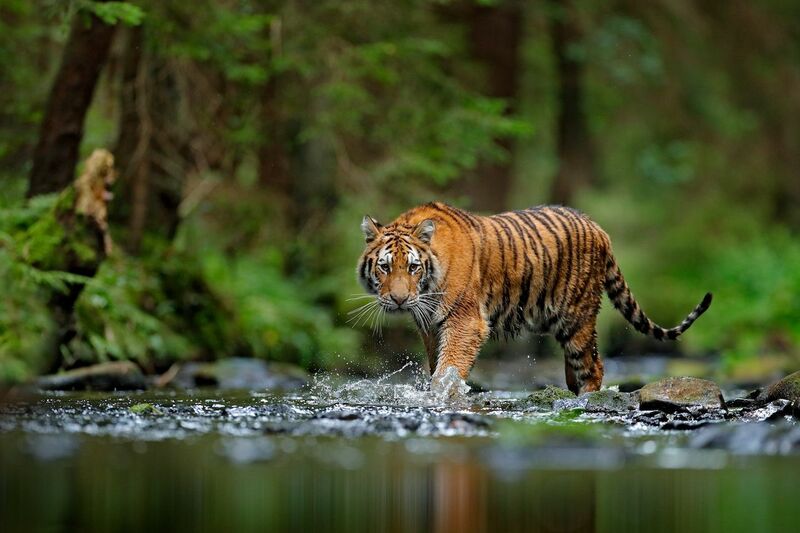 The tiger is the world’s largest big cat, with Siberian males weighing up to 300kg. It is also the most endangered big cat. According to WWF there are approximately 3,890 wild tigers left in the world today. While the tiger’s distribution range stretches from Siberia to Sumatra, most of the world’s remaining tigers occur in India. The Indian subspecies is known as the Bengal tiger. Like most wild cats, the tiger is an ambush hunter. It has evolved a number of traits that allow it to avoid detection by unwary prey. The tiger’s vertical black stripes on the light-colored coat break up its shape and help it remain concealed in the forest. The tawny color of its coat helps the tiger merge with the dry grass out in the open. One of the best places to see tigers in the wild is the Kanha Tiger Reserve in the Indian state of Madhya Pradesh. A wildlife safari in Kanha is a relaxing experience if you don’t mind a pre-dawn start. You spend about 4 hours driving through the lush green forest and open meadows in a comfortable open Jeep before returning to your accommodation for a midday break. In late afternoon, you return to the park for another 4 hours until sunset. Tigers are seen in Kanha on most days and if you stay in the park for a few days, you will likely see more than one big cat. The leopard is similar in appearance to the jaguar but has a smaller and lighter physique. The spots on its coat are smaller and more densely packed than those of the jaguar. The leopard has the widest distribution range of all wild cats. It occurs throughout Africa and Eastern and Southern Asia. Unfortunately, like all other big cats, the leopard is under threat and listed as Vulnerable on the IUCN Red List across its range. There are a number of leopard subspecies, and some of them teeter on the brink of extinction. The world’s most endangered wild cat is the Amur leopard, with no more than 70 of these magnificent animals remaining in the wilds of the Russian Far East. Like the jaguar, the leopard has a black morph. 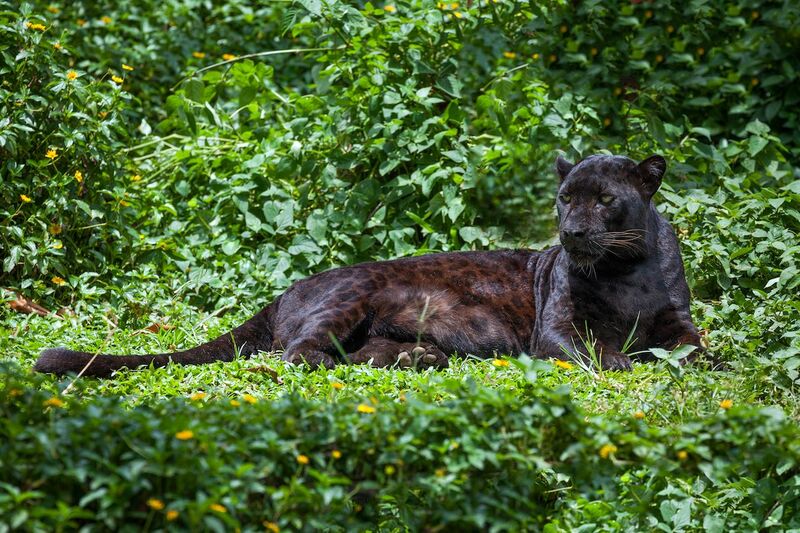 Curiously, most black leopards occur on the Malay Peninsula — no one can explain why. Thankfully, some leopard populations are doing well. Sri Lanka’s Yala National Park is considered to be the best place in the world to see the leopard in the wild. A safari in Yala is similar to an Indian safari — you ride in open Jeeps through a mixture of deciduous forest and dry shrubland. Only the roads in Yala are not as smooth. So be prepared for an early start and a bumpy ride. But your reward is an almost guaranteed sighting of a leopard, often at a close range. For the best chance of spotting the leopard, book your trip with Mevan Piyasena of Wild Angles with Mevan who is recognized as the best local nature guide at Yala. The smallest member of the big-cat family, the clouded leopard is considered to be an evolutionary link between the big cats and the small cats. If you’re not sure what the difference between small cats and big cats are, here it goes: big cats roar, small cats purr. The clouded leopard occurs through the Himalayan foothills to China and listed as Vulnerable on the IUCN Red List across its entire range. The clouded leopard is the best climber among big cats. It is able to climb down tree trunks head first and can even hang down from branches by wrapping its hind legs and its long tails around them. The clouded leopard’s name comes from the striking black blotches on its grey or tawny-colored coat. As with other big cats, this pattern helps the animal avoid detection in the dappled light under the jungle canopy. Unfortunately, due to their secretive habits and preference for dense forest habitat, clouded leopards are extraordinarily difficult to see in the wild. There are no reliable places to suggest, apart from noting that they are sometimes seen in India on wildlife safaris. While the status of the snow leopard was changed from Endangered to Vulnerable by the IUCN last year, this decision is hotly disputed by conservation organizations on the basis of lack of scientific data to support it. Scientists estimate that there are between 3,920 and 6,390 snow leopards left in the wild. The snow leopard is perfectly adapted for its inhospitable snowy habitat. Its white coat with black spots allows the animal merge to with the grey environment of the rocky slopes so perfectly, that it seems to disappear in front of your eyes. Low numbers, an inhospitable habitat, and exceptional camouflage make the snow leopard one of the most difficult big cats to see in the wild. Most sightings occur in Hemis National Park in the eastern Ladakh region of Jammu and Kashmir states in India. 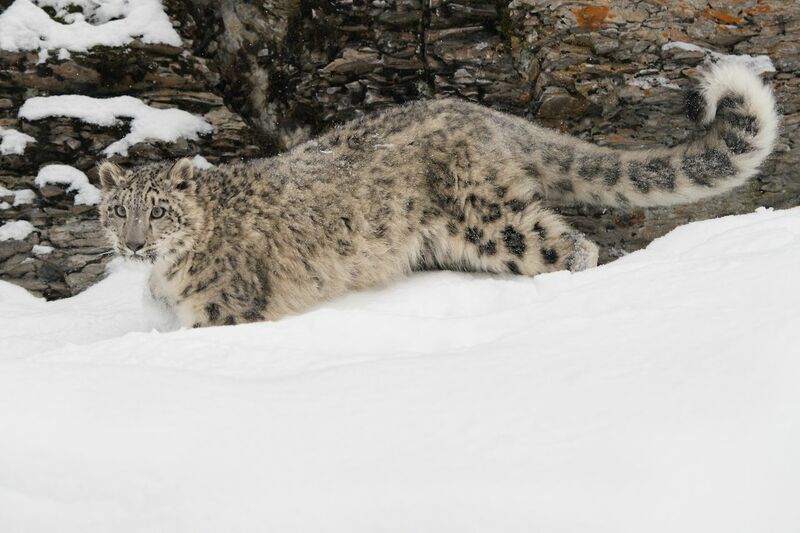 The snow leopard-spotting trip is not for the fainthearted. It involves camping on high-altitude mountain ranges with night temperatures as low as -20 Centigrade. 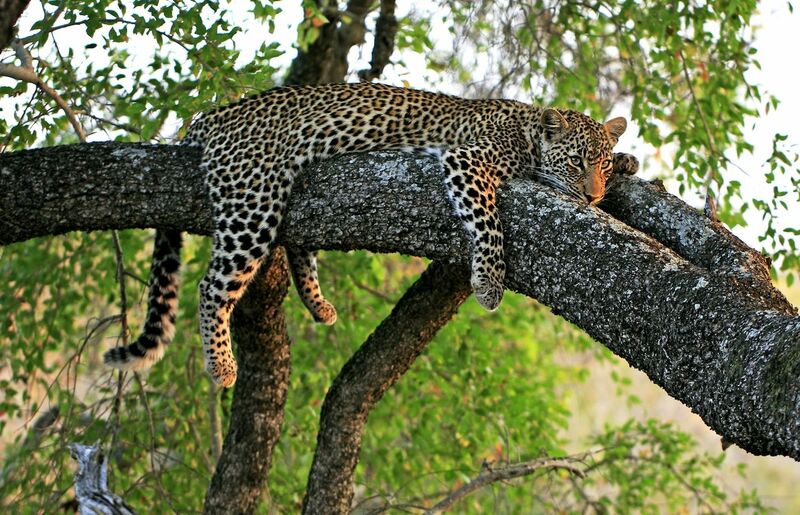 Daytime activities involve long hours of scanning the slopes for the chance of spotting the leopard. But the rewards of seeing one of the most elusive big cats on the planet well outweigh the difficulties. For the best chance of success, book your adventure with Ladakh-based Exotic Ladakh Travel. 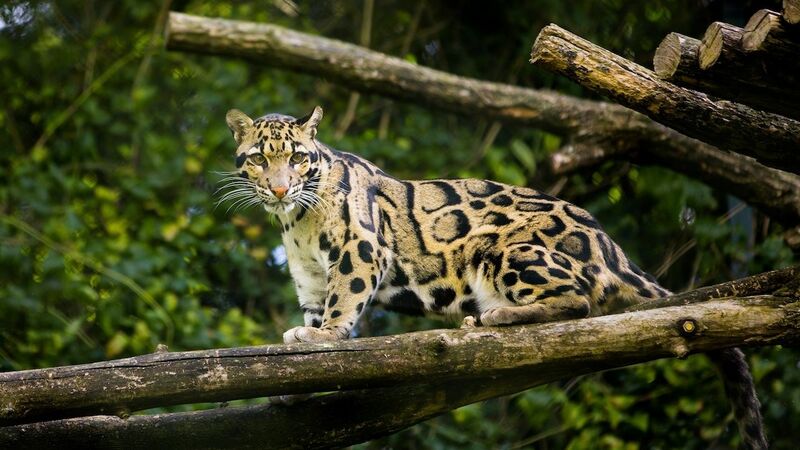 The clouded leopard is one of the least-known wild cats and it was only in 2006 that the Sunda clouded leopard, occurring on the islands of Borneo and Sumatra, was declared a separate species from the mainland clouded leopard. The Sunda clouded leopard is also listed as Vulnerable on the IUCN Red List, with less than 10,000 individuals remaining in the wild and the population decreasing due to habitat loss and poaching. The island species is slightly smaller and darker than the mainland clouded leopard. Until recently, the Sunda clouded leopard was as difficult to see as its mainland cousin. In the last three years, Deramakot Forest Reserve in Borneo has been gaining a reputation as the go-to place for spotting the Sunda clouded leopard. However, even in Deramakot, finding a Clouded leopard is no easy feat. Be prepared for long nights of driving along the forest roads, often in pouring rain. Wildlife watching in the dense tropical jungle is quite different from an African safari since your view is limited to the first row of trees on either side of the road. But the longer you search, the more rewarding the sighting will be when you finally spot the elusive cat. Book a trip with the local Adventure Alternative Borneo for your chance to see the elusive cat. Only slightly smaller than the Siberian tiger, the lion is the second-largest big cat. There are two broad types of lions: the African lion and the endangered Asiatic lion, that occurs only in the Gir Forest National Park in the Indian state of Gujarat. Unlike all other big cats that are solitary hunters, lions are social animals and live in groups, known as ‘prides’. Hunting as a group allows the lions to take down larger prey and share the kill among the pride. While lions do not rely on camouflage as much as all other cats, their tawny-colored coat allows them to merge with their sandy habitat. 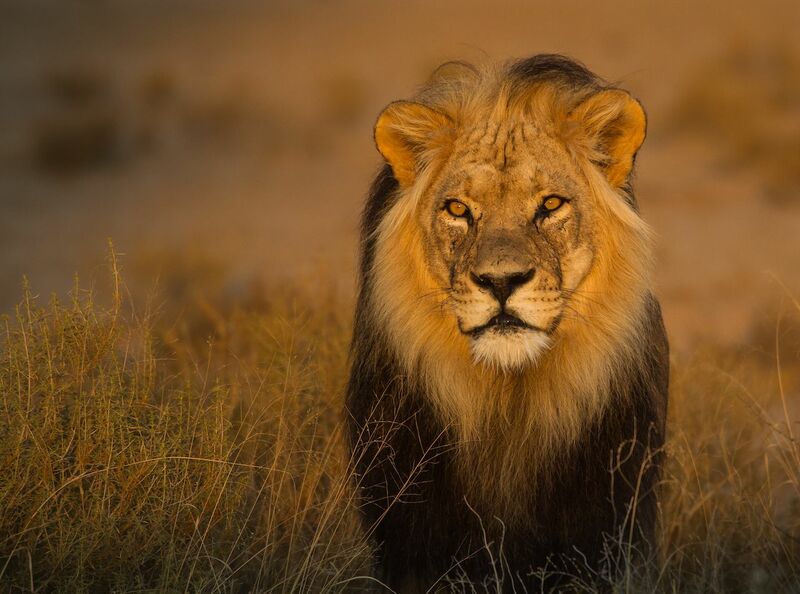 The African lion can be seen without much trouble in a number of National Parks in Africa, including Kruger in South Africa, Serengeti in Tanzania, and Maasai Mara in Kenya. The words ‘African Safari’ bring to mind images of driving in a rugged safari truck across the open savannah and observing all kinds of magnificent animals along the way. The reality of a wildlife watching trip in Africa is quite similar, but keep in mind that if you are looking for a particular species, you might spend more time searching for it than observing it. Unpredictability is the name of the game in wildlife watching. Even in Africa. To see the Asiatic lion, head to Gir Forest National Park and book your visit online directly with the park. Most accommodation providers will have a shuttle to the park’s gate. The Asiatic lion safari is a little different. Most of Gir National Park is covered by forest. As a result, the wildlife sightings are not as frequent as on the open savannah. But the forest is beautiful, and there is always a peacock or a langur rustling in the trees to keep you entertained while you are looking for the serious stuff.